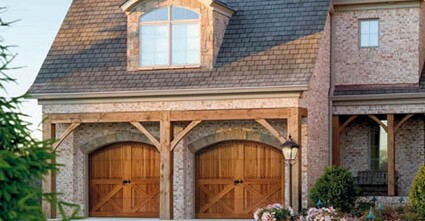 Wooden garage doors are extremely beneficial. A homeowner can add wooden garage doors in order to create a certain amount of mystique to their home. The doors can end up classing the place up. Homeowners can get extremely excited about the automatic garage doors out there. 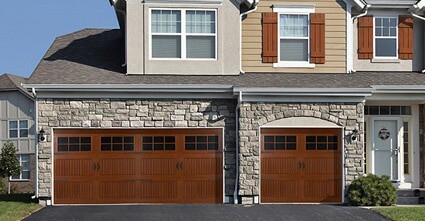 Cedar garage doors are something that a customer can see in the show room. The customized doors are something that can be stained in order to add a certain look to the doors. A number of homeowners may prefer mahogany garage doors. A lot of people can have an extremely positive perspective about garage doors once they contact our company. Do not hesitate to ask questions about parts and accessories. The hand crafted work that is done on the garage doors is quite impressive. You want to be able to celebrate the attention to detail that can be quite breath taking. 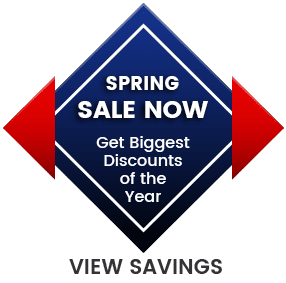 A beautiful garage door can be extremely helpful when you go forward and attempt to sell a home. The width of the garage door can make a difference. Our team can make sure that the size of the garage door is not awkward. It can be done with considerable care overall. The exquisite level of workmanship and attention to detail is present in each and every handcrafted Clopay wood door. From a one of a kind Custom Reserve Collection door to our Classic raised panel designs, you can count on us to design and build a door perfect for your home. Our Classic Wood Collection will add the beauty of natural wood to your home with a handcrafted overhead door. This collection features traditional raised, recessed and flush panel styles that compliment most homes. 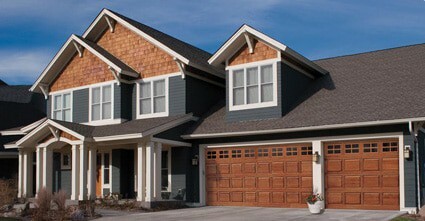 Our wood collection garage doors are crafted from the finest wood species and built with pride in the U.S.A. Harvested from sustainable and naturally fallen forestry, each door is designed an built to create a unique and artistic addition to your home. Available in three wood species, our Reserve Collection doors are constructed with Redwood, Cedar or Hemlock. Each material is available in both paint-grade and stain-grade for desired finish. All doors can be factory primed, finished painted white, or factory stained. Custom stain and paint colors are also available. The Classic Wood Collection offers Luan or Rough Sawn Fir panels in both stain and paint grade options. We have a full line of material samples as well as various finish samples available in our showroom. We also offer free in home estimates or you can email us with any questions you may have. Our team understands the need for attention to detail when working with all garage doors and operators – but most especially with natural wood products. Proper care and maintenance are imperative to the appearance, longevity and performance of a wood door. The door must be properly finished prior to installation for the warranty to be valid. It is required that the door (inside, outside, and all edges) be primed and painted with a high quality exterior paint or stained with a penetrating satin that is mildew and UV resistant and water repellant. The door may need to be stained or painted every 1-2 years depending on the exposure to sunlight and moisture. Inspect your wood door ever six months to ensure the finish has not deteriorated. Don’t hesitate to contact us for any maintenance questions. It’s no surprise that Clopay’s wood doors have earned the Good Housekeeping Seal. Their meticulous attention to detail, coupled with the finest craftsmanship in the industry, results in long lasting beauty and durability. Madison Overhead Garage Door Services has an “A+” rating with the BBB (Better Business Bureau). We also have consistently been awarded the “Super Service Award” through Angie’s List. You can be confident your garage door experience will be positive and satisfactory. Garage Door Safety Eye Sensors Do I HAVE to use them? We get this question ALL THE TIME!